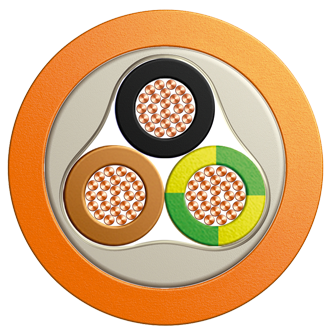 (N)HXH FE 180 E30 | Belcom Cables Ltd.
Halogen free power cables with improved fire properties for internal, in air, direct fix, cable tray or in concrete installations. Not suitable for direct burial or flooded duct work. Sealed water tight duct installations acceptable. Cable circuit integrity withstand of 180mins and functional integrity of terminated cable as part of a system 90mins.